Mention government waste to most people and they nod wisely and quote an example with which they are familiar. They have an uncertain awareness that the topic is a big subject but are unaware of the sheer scale of the problem. 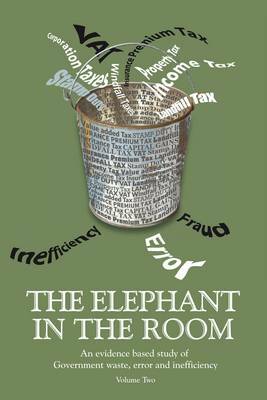 Government waste is caused by fraud, error and inefficiency, and this first evidential study into the subject has identified that, in the 5-year period reviewed, government wasted GBP235.3 billion of taxpayer money. This astronomical figure would meet the NHS budget for two years, so when you read about Cameron, Milliband or Clegg offering to increase the NHS budget by GBP1 billion, the sheer scale of waste can be seen in perspective. This book is evidence based and is believed to be the first book to approach the issue on such a basis. Nine hundred Public Accounts Committee and National Audit Office reports were examined, of which 78 were selected for deeper research. It is these 78 reports which are examined in depth and which together account for the loss of GBP235.3 billion of taxpayer money. The book is apolitical but because of the period examined researches projects mostly initiated by New Labour.